You ever hear of tilt-shift photography? It’s a lens-rotating technique used to control focus that tends to give real-life scenes the appearance of miniature film sets. 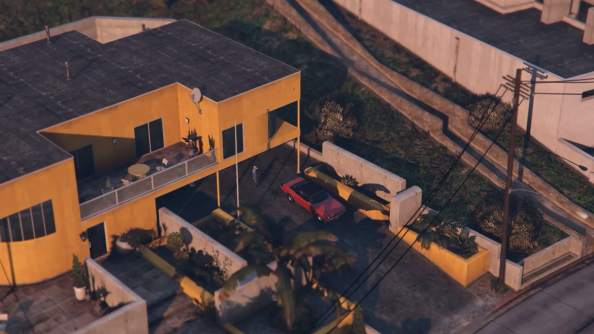 One enterprising YouTuber by the name of ehmaysi has recreated the look in lovely Los Santos, and the results are quite special. For more fun in toytown, try one of the best sandbox games on PC. Recast in this peculiar light and played back at slightly faster pace than in-game, even the worst driving offences and road rage shootings in GTA V take on a quaint, stop-motion feel. Suddenly it becomes possible to appreciate Los Santos as the intricate, clockwork world it is, rather than the screeching den of drama and homicide it very quickly becomes once you pop a player in it. You ever have one of those moments in GTA? When you find yourself out of town without a ride, watching the litter dance its way down desert streets, suddenly appreciating the mundane beauty of it all? If not, perhaps watch one of these: the best GTA 5 editor videos we’ve seen to date.